KIEV, Ukraine -- Ukraine has taken a very welcome first step in the fight against corporate secrecy and corruption by agreeing to share data on who ultimately owns and controls Ukrainian companies. 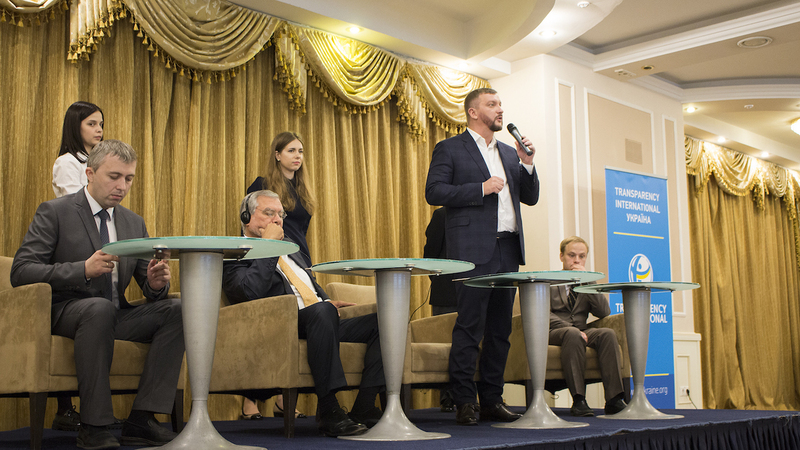 Last week Transparency International Ukraine, the government of Ukraine and the Open Ownership consortium signed a Memorandum of Understanding to integrate Ukraine’s beneficial ownership information into the Open Ownership global register. This means that Ukraine’s national beneficial ownership data will be automatically linked to data from other countries and made available to the global public for free. Shedding light on who really owns companies is a key defence for stopping corruption. This information helps to prevent the corrupt from being able to hide ill-gotten gains behind layers of corporate secrecy, and makes it easier to track the flows of illicit funds across borders. Open Ownership collects all available public beneficial ownership information into one central platform. This is the first public, global beneficial ownership register in the world, making it easier to understand corporate ownership chains by connecting the dots between people and companies across jurisdictions. Open Ownership is a collaborative project whose steering group consists of Transparency International, the BTeam, Global Witness, ONE, Open Contracting Partnership, Open Corporates and the Web Foundation. Yaroslav Yurchyshyn, Executive Director of Transparency International Ukraine, welcomed Ukraine’s willingness to support “new trends of global partnership” adding that the agreement between Open Ownership and the Ukrainian government was “symbolic” for the country. The Minister of Justice of Ukraine, Pavlo Petrenko also recognised the importance of this step in Ukraine’s fight against corruption: “We set the ambitious goal to ensure transparency and openness of all processes of our country…Creating such a register is a true breakthrough in transparency and the fight against corruption in business”, he said. In a week where both Germany and Hong Kong decided to lock up crucial data on who owns and controls corporate entities operating in their countries, it is encouraging that Ukraine has opened the door to more transparency. The move is especially important in light of events in 2014 when former Ukrainian President Viktor Yanukovych fled Ukraine leaving behind documents that showed how he was able to enjoy a life of luxury at the expense of his citizens. Using nominees as frontmen in a complex web of shell companies from Vienna to London to Lichtenstein, Yanukovych allegedly concealed his involvement in the syphoning off of at least US$350 million of Ukrainian public funds for his personal benefit. After Yanukovych fled, TI Ukraine and five other organisations produced a road map to reform the Ukrainian legal framework in order to end the alleged abuses of power that characterised the ousted regime. The highest level of the Ukrainian government has demonstrated its willingness to take proactive steps to prevent the corrupt from hiding behind secret companies. This willingness now must be turned into action. Transparency International and Open Ownership will work quickly and collaboratively in the next few months to move this critical project forward.